Associate Professor, Anne Donnelly had a long international career as a dancer with London Contemporary Dance Theatre, (under the name Anne Went). 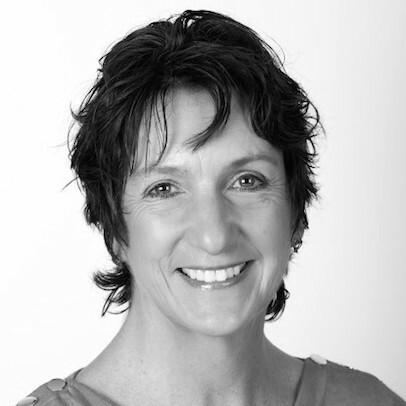 Anne left London Contemporary Dance Theatre in 1989 to study Alternative Medicine and enhanced physical training. From 1990 Anne taught extensively throughout the UK. In 1993 she became the Rehearsal Director and company teacher for the National Youth Dance Company (NYDC), she continued to work closely with John Chesworth (Director) for a further eight years. Anne joined Middlesex University in 1994 to collate her teaching practice. Anne has served as executive director of DanceUK and board member of the Hertsdance (now DanceDigital). In 2006, 2008 and 2010 she was invited to Hong Kong to serve as a panel member for the Hong Kong Council for Academic and Vocational Qualifications (HKCAAVQ). She was appointed as the academic staff representative on the Middlesex University Assurance Committee of Academic Board 2013-2016. Her interest in health and training methods for dancers has been the subject of her continued research. For the last ten years Anne has again been working closely with Robert Cohan and colleagues, to continue documenting the mastery of his teaching. General learning and teaching interests encompass: Contemporary Dance Technique, Cohan Method (Graham-based); Performance and Repertoire; Teaching Dance Technique. Donnelly. A, Bannerman. C, 2013, Robert Cohan Teaching - body of knowledge, Rescen. Donnelly. A, Bannerman. C, Cohan. R, 2013, Keynote Presentation, Society for Dance Research 30th Anniversary Conference. Donnelly. A, Bannerman. C, Vestrich. R, 2012, ' Shaping a Movement' International Arts Conference. Donnelly. A, (forthcoming 2014), Re- staging of *Forest duet by Robert Cohan, China, Beijing Dance Academy 60th Anniversary. Donnelly. A, (forthcoming 2014), Performer as part of the Elixir Festival, Know Body, Sadler's Wells Theatre. Donnelly. A, Cohan. R, 2013, Lecture Demonstration of the Cohan-method, Imperial Society of Teachers of Dance (ISTD) Conference, Sadler's Wells Theatre. Donnelly. A, Gibbs. L, 2012/ 2011, Lecture Demonstration of the Cohan-Method, ISTD Conferences. Donnelly (Went). A, Lansley. P, Cohan. R, McGuire. A, 2008, filming and performance of *Forest and *Class by Robert Cohan, Rambert Theatre. Went. A, 2001, Director, The National Youth Dance Company lecture demonstration, Linbury Theatre, the Royal Opera House, London. Went. A, 1997, Director, The National Youth Dance Company lecture demonstration as part of the Arts Council Conference on dance and arts education. Went. A,1994, national tour, 'Into Flight', (choreographer) Ballet Central Company. Director on the Executive Board of Dance UK 1998- 2001.